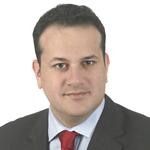 A delegation from MAG Ireland met with Minister for Transport Dr. Leo Varadkar T.D. in Government buildings recently. While the meeting had been arranged for some time, it so happened that it took place shortly after the budget 2011 announcement and the news that the proposed 2% increase in the top rate of VAT would go ahead as planned. MAG Ireland tabled a range of issues including our proposals for a reduction in the VAT rate charged on motorcycle PPE for which we have previously secured the backing of the RSA, and we understand that Dr. Varadkar will raise this issue with his cabinet colleague & Minister for Finance, Michael Noonan T.D. ahead of the introduction of the finance bill. In addition, MAG Ireland briefed the minister & his officials on a range of issues affecting Irish riders, including but not limited to the Type Approval and Mandatory High Visibility Clothing proposals. MAG will be doing some follow up work around these and other issues in the coming weeks. Your representative organisation has put the issues most pertinent to Irish riders on the table at the highest possible levels, and MAG Ireland will continue to work for and on behalf of all Irish riders to ensure that the views of the wider motorcycle community are heard.